Our summer camps are open to the general public. Throughout the months of June and July, we host a wide range of fun and challenging courses for PK-8 students. Beginning School Summer Camp is available for students PK2 through rising 2nd graders. Please fill out and submit the enrollment form for one or both sessions. Camp Invention's curriculum is developed by the National Inventors Hall of Fame to "encourage creative problem solving, teamwork, entrepreneurship, and innovation." 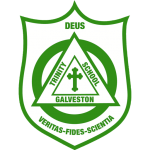 Trinity will host Camp Invention June 17th-21st, 2019. Camp Invention is open to rising 1st-6th graders, and leadership opportunities are available for rising 7th-12th graders. All sessions are led by our engaging and experienced teaching staff.